Our beautifull finca lays on a 17.000 m2 piece of land in Macastre, 10 minutes from Buñol and a 30 minute drive west from Valencia airport. You can stay with us for an active holiday or just to relax…you can choose whatever you like. On our own site is a large almond orchard where you can stroll through to enjoy the peace and surroundings. In the garden you will find olives, palms, various fruit trees and several terraces to sit down. That way you can decide whether you want to be on your own or together with the other guests. There is a swimmingpool (4x10m) with sunbeds where you can enjoy the sun, relax or read a book. At the tenniscourt it is possible to be active just for fun or be competitive. Rackets and balls are present. The four luxurious double rooms have a private bathroom and access. There is a lounge with honesty bar, free WiFi around the finca and you can park your car on our own site. The day starts with a rich breakfast. If you go for a day or stay with us at our B&B you can grab a drink or snack in the honesty bar and tick the list with your room number. On a regular base we will provide an evening with tapas, BBQ or paella for a fee. We like to welcome you as a guest so you can enjoy this beautiful place. There are plenty of opportunities to entertain you outside our finca. 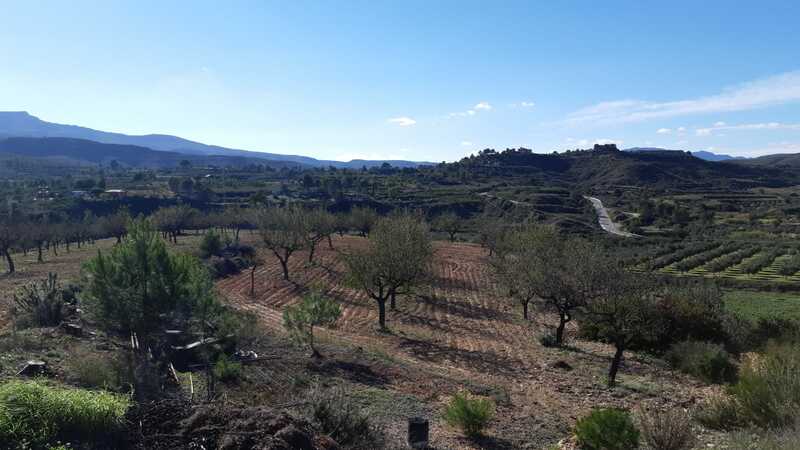 Finca Mirador is located 30 minutes inland to the west of Valencia airport, in Macastre. You take the A3 in the direction of Madrid from the airport. Our finca is located in the Campo (Spanish countryside) 3 km outside the village. Because we do not have a street with house number, it is best to follow our directions. Copyright © 2019 Finca Mirador. All Rights Reserved. Designed by Swemmelaar Webdesign. Currently we are working on the renovation of our finca. You can follow us via our blog. The current schedule is that we can welcome our guests from the 1st of May. Because we are still working on renovatiing, we are currently take on bookings for the month of May with reservation. Hope to see you soon at our B&B.